Sometimes there are just some things you need to do. Sometimes you need to dance around in your room when (hopefully) no one is watching. Sometimes you need to sit down and watch an entire season of Seinfeld. Sometimes you need to polish off that jar of peanut butter, swirling it into your ice cream. And sometimes you really just need to bake a batch of sugar cookies. To be perfectly honest, "sometimes" is a little more frequent for me than you might think. There is something so wholesome and wonderful about creaming butter and sugar together, pinching off tiny pieces of dough to nibble on, and methodically rolling it until it is thin enough to cut. If you ever need a reminder of home or just need to relax, these cookies are for you. 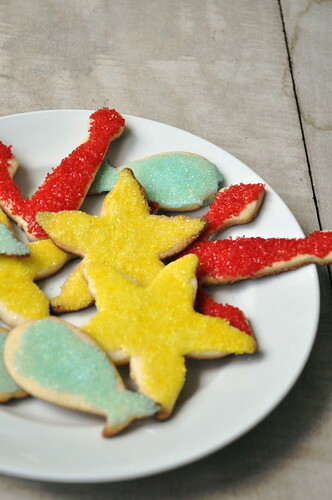 I have had more sugar cookies in my life than I could even begin to count. Many of them are flavorless, crumbly, or too oily. 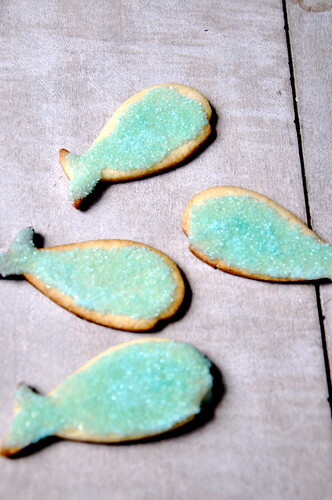 Do they sell those disgusting, frosted sugar cookies in the grocery stores where you live? Don't they taste like wax to you? Anyway, these are the antidote to all of those boring sugar cookies. I'm not going to hold back- I love them. Preheat the oven to 400 degrees. Cream the butter and sugar together in a stand mixer. Beat in the vanilla. Beat in the eggs one at a time, waiting until the first is fully incorporated before adding the second. Whisk the flour, baking powder, and salt together in a separate bowl. Add the dry ingredients to the wet and beat to combine completely. Wrap dough in plastic and put in the fridge to chill for 1 hour or in the freezer for 3o minutes. Roll out on a floured surface to 1/8-inch thick. Cut into shapes using desired cookie cutters or biscuit cutters. Bake on parchment lined baking sheets for 6-8 minutes, rotating halfway through. Allow to cool on a wire rack. 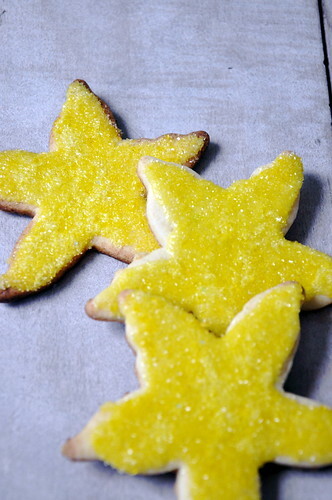 Decorate with royal icing (1 cup powdered sugar whisked together with 1 egg white) and sprinkles. fun and happy cookies !! did you sign up for my cookbook giveaway. maybe the seed your new blog ! !